September 3rd, 2011 by Roy W. Spencer, Ph. D.
Are Clouds Capable of Causing Temperature Changes? At the heart of this debate is whether cloud changes, through their ability to alter how much sunlight is allowed in to warm the Earth, can cause temperature change. The Dessler and Trenberth contrary view – as near as I can tell – is that clouds cannot cause temperature change, unless those cloud changes were themselves caused by some previous temperature change. In other words, they believe cloud changes can always be traced to some prior temperature change. This temperature-forcing-clouds direction of causation is “cloud feedback”. Temperature Change <= => Cloud Change. Because it affects our ability to find the Holy Grail of climate research: cloud feedback. Even the IPCC admits the biggest uncertainty in how much human-caused climate change we will see is the degree to which cloud feedback [temperature change => cloud change] will magnify (or reduce) the weak direct warming tendency from more CO2 in the atmosphere. The IPCC claim is that clouds will change in response to warming in ways which magnify that warming (positive cloud feedback), but by an unknown amount. All of the 20+ climate models tracked by the IPCC exhibit from weak to strongly positive cloud feedbacks. But we claim (and have demonstrated) that causation in the opposite direction [cloud change => temperature change] gives the illusion of positive cloud feedback, even if negative cloud feedback really exists. Thus, any attempt to estimate feedback in the real climate system must also address this source of “contamination” of the feedback signal. It would be difficult for me to overstate the importance of this issue to global warming theory. Sufficiently positive cloud feedback could cause a global warming Armageddon. Sufficiently negative cloud feedback could more than cancel out any other positive feedbacks in the climate system, and relegate manmade global warming to the realm of just an academic curiosity. So, How Can We Know the Difference in these Two Directions of Causation? There is one big difference between clouds-causing-temperature change (our view of what happens), and temperature-causing-cloud change (which is cloud feedback). Cloud feedback happens rapidly, in a matter of days to a few weeks at the very most, due to the rapidity with which the atmosphere adjusts to a surface temperature change. It this paper, we even showed evidence that the peak net radiative feedback (from clouds + temperature + water vapor] occurs within a couple of days of peak temperature. I have more extensive evidence now that the lag is closer to zero days. In contrast, causation in the opposite direction (clouds forcing temperature change) involves a time lag of many months, due to the time it takes for the immense thermal inertia of the ocean to allow a temperature response to a change in absorbed sunlight. As mentioned above, the large time lag involved in clouds-causing-temperature change can be demonstrated with either lag regression, or phase space plots of the data. There is no other explanation for this behavior we have published. We even see this behavior in the IPCC climate models themselves….every one of them. But Why Does it Even Matter Which Direction the Causation Takes? What we have shown repeatedly is that if there are clouds-forcing-temperature present, this will always decorrelate the data (because of the inherent time lag involved between a cloud change and the ocean temperature response), which then confounds the estimation of feedback in statistical comparisons of the two kinds of data. The existence of very low statistical correlation coefficients in all of the previous studies attempting to diagnose feedback in the traditional manner is, by itself, evidence of this effect. For example, the data Dessler analyzed had a correlation coefficient of about 0.1 (as far as I can tell, anyway…for some reason he chose not to list this very basic statistic in his paper. Why did the peer reviewers not catch such an obvious omission?). But Couldn’t the Cloud Changes Have been Produced by Some previous Temperature Change? This is a question I hear repeatedly. I will address it in 2 ways. First, I believe the simple answer is “no”, because temperature-causing-cloud changes (cloud feedback) occurs very rapidly, with little time lag. This is because the atmosphere responds rapidly to a surface temperature change, in a matter of days to weeks at the most. Secondly, just for the sake of argument, let’s assume our critics are right, and there IS a substantial time lag in the cloud feedback response to a temperature change. As I have challenged Dessler to do, if he really believes that is happening, then he should do LAGGED regression to estimate feedback…that is, adjust for the time lag in his regression analysis. And when he does that, his weak positive cloud feedback diagnosis will suddenly turn into a negative feedback diagnosis. I’ve done it, and it is what Lindzen and Choi did in their recently published paper, which resulted in a diagnosis of strongly negative feedback. We will see when Dessler’s new paper appears, reportedly being published this coming week in GRL, whether he will include time lags in his analysis. But What Else Could Cause Clouds to Change, Besides Temperature? Any “expert” who asks such a naive question obviously has little training in meteorology. Unfortunately, this is indeed the case for many climate scientists. Cloud formation is influenced by countless processes…the presence of cloud condensation nuclei, the temperature lapse rate and temperature inversions, wind shear, the presence of fronts, changes in ocean upwelling, to name a few. The climate system is a non-linear dynamical system, and it is constantly changing. Chaos is not just a short term phenomenon affecting weather. I think that long-time scale quasi-chaotic changes in ocean circulation, like that associated with the Pacific Decadal Oscillation, are capable of causing climate change. The great climate shift of 1977 is evidence of that. Even the IPCC and the climate modelers know that the huge reflective regions of marine stratocumulus over the eastern ocean basins have a dramatic effect on climate, and so any changes in upwelling of cool water in these regions can then indirectly cause global warming or cooling. Of course, there is also the Svensmark et al. theory of cosmic ray indirect forcing cloud cover, and I suspect there are effects on cloud formation we have not even discovered yet. Just because we do not understand these things well enough to put them in a climate model does not mean they don’t exist. This cloud issue has become very contentious because, if we (or those working on the cosmic ray effect on clouds) are correct, it means Mother Nature is perfectly capable of causing her own climate change. And this possibility cannot be permitted by the IPCC, because it then begs the question of whether climate change — both past and future — is more natural than anthropogenic. What is particularly discouraging is that the vast majority of scientists contacted by reporters to comment on our paper clearly had not even read the paper. They just repeated what other scientists had said. And I doubt even those original scientists read it. All they know is that it dissed the climate models, and so it must be wrong. Unfortunately, the cloud feedback holy grail, for as important as it is to knowing how much impact humans have on the climate system, still cannot be reliably diagnosed from our observations of the climate system. We have shown clear evidence here and here that the dominant influence in the satellite observations and in the models is clouds-causing-temperature change. And we have shown theoretically that in such a situation, one cannot diagnose a feedback — it is lost in the noise. And if you try to diagnose feedback from satellite data like Dessler has, it will usually give the illusion of positive feedback — even if negative feedback is present. Any agreement between models and observations found by studies like Dessler’s in such statistics probably just means they have similar levels of cloud-causing-temperature change, not similar feedbacks. At the end of the day, the dirty little secret is that there is still no way to test the IPCC climate models for their feedback behavior, which means there is no way to know which (if any of them) is even close to being correct in its predictions for the future. The very fact that the 20+ climate models the IPCC tracks still span just as wide a range of feedbacks as climate models did 20 years ago is evidence by itself that the climate community still can’t demonstrate what the real cloud feedbacks in the climate system are. Otherwise, they would tune their models accordingly. The disconcerting conclusion is that global warming-related policy decisions are being guided by models which still have no way to be tested in their long-term predictions. Finally, the fact that the media and pundits like Al Gore have been so successful at convincing the public that the climate models are reliable for forecasting the future shows that IPCC scientists have a much, much bigger problem with the media misrepresenting their work than I do. And I don’t see those scientists trying to set that record straight. This controversy reminds me of the Intra-Papal Church Commission (the IPCC of its day) coming down on Galileo back before science was invented. Some things must never change. Cloudiness variations change global albedo to change energy input to the oceans and thus the trend in system heat content. The climate effect being the net outturn of the ever varying interaction of the two processes over time. Furthermore the climate effect is simply a redistribution of the established climate zones first one way then the other as the system always seeks to restore equilibrium in the face of any forcing in either direction. The system response must always be heavily negative otherwise the oceans would not have remained liquid for 4.5 billion years despite periodic changes in solar insolation from orbital and solar changes, huge volcanic outbreaks and asteroid collisions. The power of the negative feedback response is in the energy shifting capability of the phase changes of water. Human CO2 counts for nothing in the face of the power of the negative system response. I am currently working on something with a colleague which shows similar problems with analyses like Dessler 2010, which is somewhat related to the issues you describe Roy. We hope to get it published because we think we have very good evidence for a way to improve the estimates of feedback at least a little bit. Still the issue of forcing conflating with feedback remains, but we do get better correlations. I’d love to go into more detail, but I don’t want to give too much away! But our work definitely confirms what you are saying about the lead-lag effect. It’s not just the ocean’s timescales, the atmosphere itself reacts to changes in sea surface temperature only after about 2 months. Be sure you look at the Lindzen and Choi (2011) paper just published. They looked at the time-lagged response of radiation to a temperature change to get a better estimate of feedback. Danny and I have also spent a lot of time on this, and agree you get a better estimate of feedback, but it can still have a significant error. The only way to get an accurate feedback estimate from real data is to remove the natural radiative forcings in the system from the data. Unfortunately, there is no way to know what they are. OR…be reasonably assured there are no radiative forcings present. That’s why we published the “striations work”…to show evidence of feedbacks when natural (non-feedback) cloud were apparently too small to contaminate the feedback signal. I don’t understand this comment: “At the end of the day, the dirty little secret is that there is still no way to test the IPCC climate models for their feedback behavior” in the context of the rest of the post. Isn’t the rest of the post saying that your results, and those of Lindzen and Choi, are inconsistent with the models? If so, haven’t you all come up with a clever way of testing the feedback assumptions in the models and found them wanting? Good question, Peter. In the paper, we demonstrated a big difference between the models and observations in how they lose radiant heat to space. But since the natural climate variations we examine are necessarily on time scales of only a few years (because there are only about 10 years of our best satellite radiative budget data) there is no way to know whether our results extend to the long time scales involved in global warming. The same conclusion was made by Dessler (2010) (that is, a disconnect between the models’ short term and long-term feedbacks…except I don’t think he was measuring feedback), but few people noticed the comment by him. So, the dirty little secret is that there is no way to test the models’ long-term warming predictions with short-term data. We can see a big ‘disconnect’ with short term data, but it does not necessarily disprove the models’ long term predictions. I’ve been following this with interest. The way your paper has been treated gives me even more concern about the whole peer review process now the publications managing editor, after weeks of pressure and criticism for publishing your paper has bowed to that pressure and resigned. It is remarkable when you think about it. I wonder how much longer non randomly selected, unpaid referees can be used to give scientific papers credibility? Climate science is becoming a bit like the real estate industry. If you ask a realtor whether it is a good time to buy a property, they will always say yes!It doesn’t matter what the market or the economy is doing or is forecast to do. They will show you graphs which demonstrate property always goes up in the long term and they compare the performance against shares. With the former, they fail to add in the rates and taxes paid on the property as well as the costs of maintenance, renovation and upkeep. With the latter they fail to show there is no direct management or costs in holding the shares and dividends are paid separately as income. So while the graphs are credible, they don’t show all the facts! And all those realtors must know this! The pressure by Trenberth, Phil Jones, and the other IPCC gatekeepers against journals that dare publish anything “skeptical” is now well known, for instance see here. The fact that Trenberth actually received an apology from Remote Sensing that our paper was published shows he somehow intimidated them. Trenberth complained that we did not consider his paper from 2010, as if it had all the answers (it admitted up front it was addressing limitations if you only examine the tropics…but we dealt with the whole Earth). Trenberth’s protestations are like the inventor of the X-Ray imager complaining that the new MRI scanner method can’t work because his X-ray results tell him so. Trenberth is still stuck in the Dark Ages when it comes to feedback diagnosis, as are many of the other researchers in this field (and there aren’t very many of them). But since they have so many more papers on their “wonderful” X-ray imagers, they tend to win the PR battle. Isn’t Trenberth essentially saying that in the absence of any anthropogenic aerosol effects and any temperature change, the clouds and all there various properties remain fixed? Is anyone actually prepared to defend such an extremely naive idea? In order for clouds to not influence the climate except as a feedback, then that proposition would have to be true. Seriously, evidently this is not merely a hypothesis, but a fundamental assumption that most of the community is making, and are not testing because it is being said to be true a priori. At Jeff Id’s Nick Stokes tried to say this was true by definition! Yes, Andrew, they are basically saying that. It is an utterly bizarre position to take. You can only have found a transient or highly localized effect of clouds upon the surface temperature. Despite the planet-wide, thick clouds in the atmosphere of Venus, the temperature-vs-pressure curves of Venus and Earth, when just the difference in the two planets’ distances from the Sun is taken into account, are essentially identical — except within the Venus clouds themselves, where the temperature is about 5°C cooler than it would be without the clouds. This means the clouds don’t affect the overall vertical temperature distribution, as shown by the temperature lapse rate structure common to both atmospheres (and only the incident solar radiation, not albedo or surface effects, affects the actual temperature at any given pressure, such as at the planetary surface). Obviously, the scattered, transient clouds on Earth similarly do not affect the overall temperature lapse rate structure, and the surface temperature, of Earth’s atmosphere. The Venus/Earth comparison I have done is clear and definitive, and will have to be faced if climate science is to be corrected, and real progress made from this point on. Clearly, climate science has not yet been able to separate transient weather from long-term climate, and the factors affecting each. My Venus/Earth analysis identifies the only long-term factors, those being the incident solar radiation intensity, depending only on the distance from the Sun, and the hydrostatic temperature lapse rate structure (not the specific lapse rate, just the governing hydrostatic condition). I read your blog entry on the sameness of the Venus and Earth atmospheric lapse rate, and the same temperature at the 1-bar level after correction for Venus being closer to the Sun. How is the atmospheric lapse rate measured, either on Venus or on Earth? Is this from atmospheric probes, balloon on Earth, an atmosphere entering space probe on Venus? Or is this from radiometry, that is, different layers of the atmosphere being transparent to different wavelengths of IR? The problem that I have with peer review is that it allows politics to supersede science. The statement that the “science is settled” violates what science is, a continuous search for knowledge. If we accept that, then the earth is still flat. To many of us, it appears that peer review is more about protecting funding than it is about finding the truth. Thanks for this summary. It was extremely helpful. “Any agreement between models and observations found by studies like Dessler’s in such statistics probably just means they have similar levels of cloud-causing-temperature change, not similar feedbacks. Yes! And this is the true heart of the AGW debate. Any model should be validated against empirical observations. This is especially the case for climate models because they do not emulae the climate system of the Earth: I explain this as follows. None of the models – not one of them – could match the change in mean global temperature over the past century if it did not utilise a unique value of assumed cooling from aerosols. So, inputting actual values of a cooling effect (such as a negative feedback from clouds) would make every climate model provide a mismatch of the global warming it hindcasts and the observed global warming for the twentieth century. The question is: if climate models differ by a factor of 2 to 3 in their climate sensitivity, how can they all simulate the global temperature record with a reasonable degree of accuracy? Therefore, each model emulates a different climate system. But the Earth has only one climate system. Therefore, at most only one of the models emulates the climate system which exists, and it is probable that none of them do. Averaging their outputs does not solve this problem because average wrong is wrong. Hence, it is ridiculous for anybody to imply that doubt is provided to an empirical result by the disagreement of that result with behaviours of the models. However, the providers have a vested interest in rejecting (by any means) any such empirically derived result. Yes, I agree. All of their models have been tuned to give about the same 20th Century warming, despite them using very different forcings and climate sensitivities! And they say OUR model is tuned to the results?? Sheesh! The hypocrisy with this crowd is astounding! FWIW, I totally support you in a sequence of events that seems to have been (with premeditation) designed to maximize damage to you &c.
I have no idea (despite being qualified) how science will finally assess your paper. That judgement should be left to science, and not to blog comments, unacknowledged communications/pressure and a petulant resignation letter. I regret that I must remain pseudonomymous. Some of the climate emails discussed getting rid of an editor (of GRL) who allowed publication of results contradicting the dogma. But up to now, it has not been done. This is intimidation pure and simple. Think about how the next editor will react to a submitted publication of a skeptical nature, and you will understand why this is being done. My post of 9.49 am on 3rd Sept seems to be stuck in moderation. Is there a problem with it? Is it really possible that some of the detractors have never actually experienced a summer day? Do they never go outside of an air conditioned environment? Is it possible to even have an inkling of “climate” when one does not understand the most basic concepts of meteorology??? Maybe things are different here in Calgary, at 3500ft. I know our thunderstorms are different than those at sea level. But if there is moisture in the ground and we have a warm sunny day, it’s almost a guarantee that we will have at least clouds, and maybe thunderstorms. Daytime heating –> clouds and/or thunderstorms, which = cooling. Often dramatic cooling. I’ve seen 30C become 8C in minutes, accompanied by hail and much lightning. Where did the heat go? Is it in the pipeline now? The entire disbelief system is mind boggling, and it is so institutionalized and pervasive that it is difficult for the lay person to even comprehend that it could be possible. They see my pointing out things like the undermining of the peer review system as a “conspiracy theory”, and in fact are even told this. Well, just because something is a “conspiracy theory” does not preclude the possibility of there being a conspiracy. And even demonstrating the intent of the conspirators to conspire (in their own emails) does nothing to convince some. Anyway… I am personally happy that your paper was published, where it was published, and remain in awe at the obvious reactions from the “warmists”. They seem unable to comprehend that Science is about getting the truth, as opposed to some apparent goal of self-aggrandizement. I look forward to more actual Science, and a deeper, less naive (ie. CO2 based) understanding of our entire climate system. As I have read at Dr Pielkes blog, a rebuttal of your paper by Dessler will be published next week in GRL. What amazes me is how fast this rebuttal is being peer reviewed and accepted and how unusual this is: a rebuttal should have been published by comment to your paper in Remote Sensing, not by a CAGW friendly journal like GRL. The team seems to be under large pressure, possibly by the AR5 community? Exactly. The IPCC AR5 report cannot have anything stand in the way of its creators’ agenda(s). As one of the first directors of the IPCC (Robert Watson) told me many years ago (paraphrasing), “we legislated chloroflurocarbons, and carbon dioxide is next”. Harry, the Team™ has been circumventing the comment-reply system for some time. It affords the original authors the luxury of the last word, most of the time, which is unacceptable if you want to be the one to have the last word, which warmers surely do. Moreover it will mean that, instead of Roy having an immediate chance to reply to a challenge to his work, he will be delayed significantly in doing so, having to publish either a comment, or more likely, a separate paper, since I would strongly suspect GRL will editorially refuse anything Roy writes now. The establishment also strongly wants Dessler to get the final say. Publishing separate papers instead of comments was how the Team™ chose to “rebut” Lindzen’s Iris work, as well. The way Roy has been dealing with this being done to him has so far been to publish his own separate papers. That way the attempt to get the last word is squashed. Just as a small aside, as a former glider pilot I’ve sat in the torus of a thermal rising at 12kt, having pulled the craft out of the hanger in the early morning with nothing but the cool and blue sky all about. The late morning brings the desired warming and away we go, looking for clouds as they provide a visible sign for the presence of thermals. I must confess, I always spared a thought for the energy stolen from the atmosphere, lifting the mass of the glider to height. I can honestly say I think I may have done my bit for global cooling! Well no matter what, over the next decade we will have more evidence of the true sensitivity of the climate. We know Hansen was wrong in 1988 in his predictions. He was way off on temperature change. Over the next decade likely the IPCC predictions will continue to be wrong. Yes, this might be the only true test we will get of the climate models. The forcing of the climate system by CO2 is now supposedly at a maximum, and ever-rising. They can’t keep invoking more aerosol pollution to explain the recent lack of warming. This is what is so disingenuous about 2 recent papers that claimed 8 or 10 years without warming is actually pretty common. NO! NOT when you have this much (theoretical) forcing of the climate system occurring!! You can’t compare the last 10 years to previous decades!!! These people are either idiots, or deceitful. What the alarmists forget is that we all live in the laboratory called Earth’s climate. Which of course means that we all have some “empirical evidence”. Here in Australia we have been able to confirm from Australian BOM data (some dating back to 1825)that the weather events “remembered” from childhood (when atmospheric CO2 concentrations were closer to pre-Industrial Revolution levels)were not fanciful. In that period the severity and length of droughts and floods has changed very little. Sometimes the severity of both was marginally greater in the ninteenth century than in more recent times and sometimes (in other locations) the reverse is true. This is a great piece! Clouds DO cause temperature changes and those have been the ONLY driver of the warming over the past 35 year, and actually ever since the Little Ice Age…. I’m currently analyzing a new global cloud cover data set based on AVHRR observations since 1982 which was published a few months ago. Correlating this data series with the satellite temperature record completely confirms your conclusions! What’s even more interesting is that results from my analysis indicate an EXTERNAL forcing of cloud cover. Forgive my naivete Roy(my background is in meteorology not climate science), but isn’t this rapid response to temperature change something that we see everyday when an air mass advects over a surface with different temperature and/or humidity, etc.? E.g., land to sea, sea to land, sea to ice/snow, land to ice/snow, etc. If so, then I find it amazing that such meteorological common sense could be lost on climate scientists. Or, am I oversimplifying the complexity of the problem? The hypothetical causal relationships that only go in one direction are what the global warming orthodoxy is full of. The very purpose of this one-sided way of looking at phenomena is to guarantee that someone (an SUV or a light bulb) is a pure culprit while something else is a pure victim. But in Nature, it never works like that. The local temperature and the local cloud cover are demonstrably two independent degrees of freedom because there can exist cold and sunny; cold and cloudy; warm and cloudy; warm and sunny regions. So they must be treated as (at least) two (sets of) degrees of freedom, and they manifestly influence each other – much like coupled harmonic oscillator. As a geologist, my comment on the subject of cloud ‘feedback’ is this: If it is as positive as the IPCC insists it is, then there would be plenty of evidence for it in the geological record, such as ice cores etc. Sadly for the alarmists there is no such evidence. Somehow with all the hype and hyperbole spun by the IPCC, this one simple fact is completely overlooked. The disingenuity of the alarmist camp is now so bad that the concept of natural climate cycles has become one of extreme heresy. Well Dr Roy, I don’t need any Teraflop computers to convince me beyond any reasonable doubt, that your conclusion as laid out in your paper (and this essay) is simply incontrovertible. Heck, even my stick on a sandy beach, is way overkill, in explaining why this must be so. There can be no doubt, that each and every H2O molecule that enters the atmosphere, regardless of what phase it is in, must reduce the total amount of solar energy that the earth absorbs (mostly in the deep oceans), because H2O absorbs quite significantly in the red and near IR regions of the solar spectrum, out to say 4.0 microns, where only 1% of solar energy remains. Certainly that absorption will warm the atmosphere, at whatever height it occurs; but the net result is less solar spectrum energy reaches the surface. The warmed atmosphere in turn re-radiates, but only half of that emitted energy can rach the surface; the rest escapes to space. Resultant atmospheric convection, will also transport heat to higher altitudes for eventual loss to space. And the LWIR re-radiation that does reach the surface, is hardly effective in providing additional warming, since its extremely shallow absorption range, results in extra evaporation, and even more water vapor in the atmosphere. Ultimately, the cause of “enhanced” warming at the surface, is not the return of the LWIR from the atmosphere, but the additional solar spectrum energy that arrives at the surface during the delay interval caused by the GHG effects. The sun is always the source of the warming energy; and more water in the atmosphere must result in less solar energy captured by earth. It is somewhat two faced, for folks like Trenberth, to on the one hand, claim that clouds are the result of earlier Temperature conditions at the surface, (I agree with that), but then also claim the absurd notion that high level clouds cause surface warming, and the higher the clouds, the more the surface warming. Yes we all know that high clouds at night go along with warmer temperatures; every 6PM news weatherman issues such reports; but it was the earlier even warmer surface conditions that produced both the late night extra warmth, and the high clouds. The high clouds did not, and cannot produce the warmer surface conditions. Any observer of the blue sky, can understand the phenomenon of atmospheric water absorption of incoming solar spectrum energy. The sky blue is the result of Raleigh scattering of short wavelength solar energy. But the “blue sky” looks exactly the same looking down on this blue planet, as looking up. A clear demonstration that the result of such scattering is a 50-50 split between what comes down to the surface, and what escapes to space. The isotropic re-emission from a warmed atmosphere is no different; half of it must escape, and that is solar energy that will NEVER reach the surface, and be absorbed in the ocean. Ultimately, less absorbed solar energy must lead to a cooler earth, and that is the most potent negative feedback mechanism one could imagine. Thermal runaway is impossible on earth, so long as we retain our oceans. Clouds can never result in positive feedback (warming); the increased albedo due to increased cloud cover, is prima facie evidence of that simple fact. It is always cooler in a cloud shadow zone as a result. And need I even mention, that it GLOBAL CHANGE in cloud cover that persists for climatically significant time periods, that is important; we are not talking about last night’s local weather report. It’s title, “On the Electrodynamics of Moving Bodies”. I think it’s “horse manure”. I did a little digging. The “peer review” consisted of the so called Journal Editor saying, “I think it has some merit.” Even though a majority of what would be this fellow’s “peers” thought it was full of errors and claims that were beyond their “belief” in the ways the electrodynamics of moving bodies worked. Also, this fellow was so VAIN as to not even use a SINGLE outside reference. Now this happened some years ago, and it is obvious the “improvements” we now have in the academic system would certainly make sure this sort of thing would not happen any more. Oh, by the way, anyone know a “different” title for this paper? The discussion of clouds needs to evolve to include the WHERE & WHEN. For example, compare a cloud mass in the polar night with one on the equinoctial equator. Who on Earth thinks putting such disparate spatiotemporal patterns through the “global-average-blender” is actually a SENSIBLE way to assess “feedback”? As Judith Curry has pointed out, vigilant maintenance of the so-called “uncertainty” is VERY important – even essential – to some. The global constraints should not be conceptualized as merely on clouds, but rather on circulation more generally, as indicated CLEARLY by EOP (Earth Orientation Parameters). As Dr. Spencer has pointed out, coupling is multidirectional. THUS, a prudent course of exploration focuses decisively where the MOST information is to be gained – i.e. on the effects of changes in rates (i.e. acceleration/deceleration) on spatiotemporal aliasing …and so of course we see the mainstream focus elsewhere! A clue for the mainstream: The OBSERVED terrestrial spatiotemporal aliasing is a function of differential (since Earth has no phase-locked clock) solar pulse-position. That paper, on the face of it, is ridiculous. I don’t know why you posted it. There doesn’t even appear to be any experiments described, just “imaginary physical experiments”. Amazing. And you say this guy got published? SOMEone must have resigned over that fiasco. I see it was all the way back in 1905. No way anything he did could possibly still be relevant today, right? Two simple obvious but endlessly more or less ignored points, that I seem to need to repeat endlessly. One: to be sure about the sense of causality in a process, one must use the information provided by the effects of an external driver. This is one of the great lessons of scientific method. Sad to say, it is not part of meteorologists’ habitual way of thinking. That is because mostly meteorology is mostly not an experimental science, being instead a science of which the empirical side is more more naturally described as observational than as experimental. That is why IPCC people are comfortable calling computer simulations “experiments”, a usage that grates for many experimentalists. Two: in a context in which two kinds of process, A and B, each have effects on the other, the form of expression ‘A causes B’ is perhaps dubiously logically acceptable, but it is certainly ambiguous or confusing and is even unnecessarily provocative, and I would even think it a bit lazy or careless. This is because, willy nilly, this form of expression has the potential to be interpreted as meaning that the causal linkage is exclusively one way. Unconfusing and unambiguous and less provocative and more careful and comfortable in the context are ‘A has effects on B’ and ‘A is a mechanism for change in B’ and ‘changes in B are mediated by changes in A’ and ‘A mediates B’. These more careful and comfortable wordings make it clear each time that one is not intending to assert exclusively one-way causality. The IPCC people here have a point that the data under discussion, by themselves as they are being used here, do not provide adequately reliable evidence on the question of primary causality, and that the wording ‘A causes B’ is open to interpretation as meaning that primary causality is adequately demonstrated when it is not. That of course is compatible with Drs Spencer and Braswell’s conclusion, but it is worded so as to make for futile contention, which is just what the IPCC wants. The term ‘forcing’ is beloved of newspaper reporters seeking to dramatize or exaggerate, and beloved of IPCC people who want to conceal their departure from the more traditional term ‘driving’ because they want to hide the fact that their “forcings and feedbacks” formalism lacks the methodological virtues of a true external driver. That use of the term ‘forcing’ helps to lead people away from the more comfortable and less ambiguous wordings that I am saying are better. I think you´re right to incorporate differences in pressure (the same way as altitude affects temperature here on Earth) into your calculations and do not state things like Stephen Hawking did, but I fear it´s too much simplified. On Earth, most of the radiation that actually warm the atmosphere is reemitted from the surface.However, on Venus, this is not the case on Venus, or at least so I judge so from estimated irradiance of the surface of Venus. Much reasonable comparation would be between Venusian atmosphere and our oceans. The warmest temperature is on the surface, despite the pressure there is much lower than in the deep ocean. Your statement is that temperature vs pressure gradient on Earth and Venus is, with exception in the clouds directly, very simmilar. So there must be a mechanism of any kind involved that redistributes the energy in the atmosphere. You could do a comparation between Earth´s stratosphere and atmosphere of Mars instead. My reasons to think this are: simmilar density, no water vapour in our stratosphere as well as on Mars. The only thing (I am aware of) that could interfere is CO2. Peter, what kind of geological evidence would you expect? I’m unclear on what kind of distinct fingerprint a positive feedback from clouds would leave in the ice cores. Moreover, our thermal gradient is that simple (rising altitude-decreasing temperature) only in the troposphere. Thanks for this clear exposition Dr Roy. It helps in understanding the paper for laymen and climateers alike. I see the team is ratcheting up the rhetoric in advance of Desslers soon to be published quickie. I apologise for this comment being out of sequence but I cannot get your “Reply” function to work. I think it important to remember the only prediction (n.b. prediction and not ‘projection’) in the IPCC AR4. “The committed warming trend values show a rate of warming averaged over the first two decades of the 21st century of about 0.1°C per decade”. n.b. That is “committed warming” that will occur because of effects in the past. And the effect of increase to atmospheric CO2 since 2000 is expected to double that rate of warming to “About twice as much warming (0.2°C per decade)”. But there has NOT been a rise in global temperature of “0.2°C per decade” or of “0.1°C per decade” for the first of half of “the first two decades of the 21st century”. Indeed, there has been no discernible rise and probably a slight fall. A RISE OF 0.2°C OVER THE LAST 10 YEARS WOULD HAVE BEEN OBVIOUS FROM THE DATA. So, for the IPCC prediction to be true then the global temperature must rise by a staggering 0.4°C now and stay at that level for the next 10 years. This would be more than half the total rise over the previous century, and only a member of the cult of AGW could think this is a reasonable expectation. Indeed, if one accepts the lower limit of the “uncertainty assessment” of “-40%” then the required immediate rise needed to be sustained over the next 10 years is at least an incredible 0.24°C. And to meet the IPCC prediction at a linear rate then the required rise over the next ten years is 0.8°C (or 0.48°C at very minimum). Clearly, THE IPCC ASSERTION OF “COMMITTED WARMING” IS WRONG, this warming was not “in the pipeline” as e.g. James Hansen asserted to the US Congress. Importantly, there is a fundamental relationship between Trenberth’s “missing heat” and the IPCC’s assertion of “committed warming”. But I have already written enough so I will stop , but I will provide explanation of that fundamental relationship if asked. Do you have a reference that explains clearly what the climate modelers do mean by it? It really looks like Trenberth is going to extremes to discredit your research. (Take a look at Dr Pielkes (Sr) site. He must be in extreme anger with your findings at a crucial moment for his AR5 session to culminate into the utter nonsense they have been spawning over the last 10 years. Please, continue the good work! I think there is convergence between your work and his views. CodeTech, never mind going outside the modelers live on planets that do not even rotate. It also makes no difference if the clouds sit atop ocean, forest, grassland or desert, the Earths albedo remains 0.3.
there is seriously a question of whether clouds cause cooling? I was in Lake Tahoe today and a cloud passed over and it went from very warm to cool in a few minutes. How much science do you need to tell you that it cools when clouds are overhead? Maybe at night the clouds keep in the heat, but during the sunlight you don’t have to be a rocket (sorry climate) scientist to tell you this. Indeed Roy, and it’s even worse than you think. The last few decades of warming that had a couple of eight year (not ten year!) periods without warming, but these two periods both had the common feature of major climatically significant volcanic eruptions occurring right in the middle of them, which naturally cooled off the next few years and, occurring as they did at the middle of those periods, tended to cool the trends over those periods. In other words, there were actual explanations for those periods. The recent period is utterly without one…within the warmer paradigm at least. Thanks for having the balls to remain calm and focus on the science. Actually I may have been wrong about it being obvious that clouds cause cooling. On winter nights in Northern California, when clouds come in, the temperature can remain from 5-10 degrees above a cloudless night. Where the clouds obscured the sunlight I agree the weather would obviously be cooler. But in some cases, clouds at night keep in the heat more effectively. Wouldn’t you have to take this in consideration to be able to judge the net cumulative effect with clouds in sunlite areas and with clouds in night conditions? Does the cosmic ray cloud building affect occur more often in sunlight vs dark? Yes, this has been done. It’s estimated that the net effect of clouds globally is to cool by about 20 W/m^2. I’m not sure the scientist have understand the craziness of claim that cooling by day and heating by night is a dangerous event for life on this planet. Even if the total clouds “feedback” was positive the result was a less extreme temperature climate. The simple fact of using the daily average of Tmin and Tmax to compute the temperature anomaly is a nonsense for me. I would prefer to live on a planet having an “average” temperature slightly higher with less temperature extremes rather than on a cooler one were the temperature goes up and down. I would like to encourage you to make publicly available all algorithms, source code, pointers to raw data (inputs), etc., which you use to process your satellite temperature measurements. I fear they’re coming for you and seek to replace you with someone who tows the party line. With these resources publicly available, there will remain a vestige of competent analysts available to dispute the coming maliciously fraudulent analysis we’ll see from your replacement. Hansen recently falsely claimed that China’s aerosol pollution has caused cooling, offsetting AGW during the last decade. If fact, it is one of the few areas of the globe that has had warming in the last decade. Emissions data shows aerosol pollution has been falling in China, resulting in recent warming. Since 2005 China has had a major effort to install state-of-the-art desulphurisation in its coal-fired plants installing more such units than the rest of the world combined. At the end of 2008, 66% of the China’s coal-fired power plant capacity is equipped with flue gas desulphurisation. 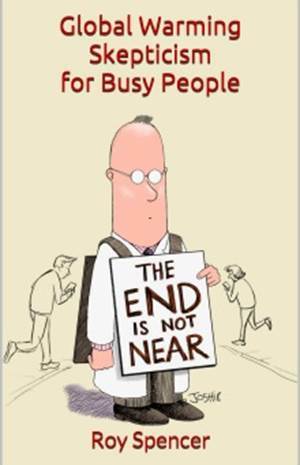 Today 75% of all desulphurisation systems are being installed in China. The reduction of aerosols, especially over China, allows more sunlight through the atmosphere to warm the Earth’s surface, contributing to global warming. Sir, you have been defamed by the authors of the article, and so has Dr John Christy. The resignation of Wagner is irrelevant. The real issue is Kevin Trenbath, John Abraham and Peter Gleick. There is a mystery here that needs to be resolved. Something I cannot understand… why would Trenbath receive a personal note of apology from both the editor-in-chief and the publisher of Remote Sensing? Bizarre! This is mud-slinging at its worst. This is an attempt to destroy your public credibility. This is an attempt at damaging your good reputation. Worse, I see no effort by the authors in the article to offer an explanation about how the scientific method actually operates and how science builds on errors and mistakes? No. My advice to you is to take legal action and hold Kevin Trenbath, John Abraham and Peter Gleick to account for such a disgraceful attempt at destroying your world reputation and career. In my opinion, legal action is the only way to resolve the defamatory remarks and ensure that the world gets the true perspective on this issue, and that yourself and Dr Christy are not in fact guilty of anything other then trying to improve on the body of scientific knowledge. I cannot see a Court supporting any justification of such damaging comments by Kevin Trenbath, John Abraham and Peter Gleick, which in my opinion are malicious. How can Dessler & Trenberth claim with a straight face that temperature changes cause cloud changes and not possibly the other way round when climate modelers themselves admit they DON’T know if a warming will cause more or less clouds ??? Dr. Spencer, your grandchildren will get the final say on your work. 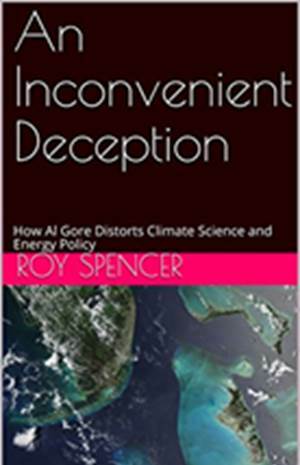 Unfortunately this is not the first time the science conducted by Roy Spencer and colleagues has been found lacking.The latest came Friday in a remarkable development, when the journal’s editor-in-chief, Wolfgang Wagner, submitted his resignation and apologized for the paper. Kevin Trenberth is a distinguished senior scientist at the National Center for Atmospheric Research in Boulder, Colo.
John Abraham is a professor at the University of St. Thomas School of Engineering in Minneapolis, Minn.
Peter Gleick is a member of the National Academy of Sciences, a MacArthur Fellow, and co-founder of the Pacific Institute in Oakland, Calif.
ignore the provocative nonsense of Trenberth, Abrahams and Gleick. They do themelves more damage in the eyes of those who matter than you do by turning the other cheek. Stick to the science, even if they can’t. You cheerfully admit the true forcing – feedback ratio cannot be determined. This is the true state of affairs. It is they who have to defend their unwarranted levels of certainty about cloud feedback, not you. As one scientist to another,I am deeply disappointed and even a bit surprised that the editor-in-chief of Remote Sensing had to resign for publishing a paper with compelling arguments simply because it went against the current “consensus,” and upset a few ensconced scientific opinion-makers. So, like politics, climate science “ain’t beanbag.” But when publishing well-reasoned dissenting arguments gets an editor-in-chief canned, “climate science” doesn’t seem to be science either. Thanks for the nice summary, and please keep persevering with your research. The recent personal attacks on you and John Christy are likely to damage the alarmists’ reputations more than they harm yours. Regarding the water vapor feedback, where the normal explanation is that warmer temperature means more water and so on. But more water vapor could also mean more clouds and more rain. A conservative estimation is that 1mm rain a day in average transports 15W up to the top of the clouds. So more water vapor and more rain can easily compensate the GHG heating from the water vapor. Thanks, keep up the good work. The way the alarmists are treating this is for me only more evidence of AGW theory beeing a religion. There is much to be learned about climate, getting stuck on co2 is a sure way to fail in my humble opinion. 1. We are still in the Pleistocene Ice Age and in the second half of one its many inter-glacial periods. 2. We don’t really know why the Ice Age started, or why we have inter-glacial periods, however there are some good theories. 3. Our sun is a ‘variable star’, which means its energy output fluctuates over time. 4. The world is about 0.7-0.8 degrees centigrade warmer now than it was at the end of the Little Ice Age about 150 years ago and therefore, on balance, it is a nicer place in which to live. 5. The geological record clearly shows that carbon dioxide levels in the atmosphere react to changes in temperature and not vice versa, as the IPCC would like us all to believe. Historically, carbon dioxide has been a lagging indicator of temperature, not a driver of temperature. It is self-evident that the theory of cloud feedback producing a temperature reaction voraciously feeding on itself is incorrect, otherwise global temperatures would get stuck at higher, or lower levels, than those prevailing today. If however, feedback is very small, negligible, or non-existent, you would have the situation which exists today and has existed for hundreds of millions of years. The concept of natural climate cycles has become a heresy for the alarmist cult. In fact, we now have government ministers for climate change – these people are supposed to combat something which is perfectly natural and has been occurring for hundreds of millions of years! The small increase in temperature which has occurred since the end of the Little Ice Age is probably 85-90% natural and 10-15% induced by the activities of man. So, as stated previously, there is no evidence of feedback in the geological record as Hansen suggests, it is all a reflection of natural cycles (e.g. tiny changes in the Earth’s orbit or tilt, or the sun’s energy output or whatever), which we imperfectly understand. Your comment goes to the heart of the issues of this thread; viz. (e) the personal attack on Spencer by Trenberth et al. Low level clouds reflect solar heat and a mere 2% increase to cloud cover would more than compensate for the maximum possible predicted warming due to a doubling of carbon dioxide in the air. Good records of cloud cover are very short because cloud cover is measured by satellites that were not launched until the mid 1980s. But it appears that cloudiness decreased markedly between the mid 1980s and late 1990s. Over that period, the Earth’s reflectivity decreased to the extent that if there were a constant solar irradiance then the reduced cloudiness provided an extra surface warming of 5 to 10 Watts/sq metre. This is a lot of warming. It is between two and four times the entire warming estimated to have been caused by the build-up of human-caused greenhouse gases in the atmosphere since the industrial revolution. (The IPCC says that since the industrial revolution, the build-up of human-caused greenhouse gases in the atmosphere has had a warming effect of only 2.4 W/sq metre). Trenberth asserts that heat is stored in the climate system (almost all in the oceans) but work of Spencer et al. suggests solar energy has been reflected by clouds so has been lost from – and not stored in – the climate system. As I stated in another post (above), and importantly, there is a fundamental relationship between Trenberth’s “missing heat” and the IPCC’s assertion of “committed warming” (which – as my earlier post explained – has vanished). The AGW hypothesis says increased atmospheric GHG concentration increases IR back radiation to the surface. The hypothesis asserts that this back radiation causes surface warming which has two effects; viz. The warmed ocean surface warms the oceans. Effect 1 is an almost instantaneous (the GH effect occurs at the speed of light). Hence, it cannot discernibly contribute to “committed warming” from one year to subsequent years. Effect 2 is probably wrong and is certainly overstated by the IPCC, but here I am considering the IPCC version of what they think is reality. The ocean warming of Effect 2 establishes a new thermal equilibrium between air and ocean. There is a lag (of several years) to obtain this equilibrium because net energy (from back radiation) is absorbed in the oceans until equilibrium is achieved. Upon achievement of the equilibrium then the air temperature is raised and, importantly, the air/and oceans obtain zero net energy exchange as a result of the increased atmospheric GHG concentration. So, until equilibrium is achieved the oceans absorb more energy from the air and this is why there is “committed warming”. When equilibrium is achieved then the oceans continue to absorb more energy but they also emit more energy back to the air: in other words, “committed warming” is increase to energy from the oceans in response to previous IR back radiation to the surface. Simplisticly, “committed warming” is heat of the IR back radiation to the surface that is stored in the ocean until it is later released to the air. Trenberth’s “missing heat” equates to missing “committed warming” and, therefore, it is not surprising that the “committed warming” has vanished when Trenberth’s “missing heat” exists: they are the same thing. Spencer’s work provides an explanation of where Trenberth’s “missing heat” has gone; it has been reflected back to space by clouds so did not enter the ocean. In this circumstance it is not surprising that Trenberth et al. have resorted to mud-slinging. People are often forgiven for being wrong but rarely forgiven for being right. The mud-slinging is a strong indication that Trenberth et al. think Spencer is right. Unfortunately, I lost the original source. Anyway, someone noticed in the measurements that the data was a showing statistically a small change in the average temperature. I recall that the result was a higher average temperature in the daytime and a lower average night time temperature in the days when the planes were grounded. The reason for this was explained by pointing to the missing contrails. This looks to me like the effect I understood already as a child. Clouds reduce warming from the sun and in the night the clouds are like a blanket. Compare a cloudy and a cloudless winter night and you know what I mean. I live in Ireland now and I can say that we had a lot of cloud cover in the month of June to August, which is my personal observation. The official information is according to the Met Eireann: “Ireland records coldest June and July in 50 years”, “August was coldest in 25 years”. Where is the warming in the first place to create the clouds and where is the warming by having clouds? I guess Trenberth et al like to go sunbathing when it is raining, and wonder why they can’t get a suntan? Of course clouds change surface temperatures and on both local and on global scales. The total amount of cloud cover over the world is not a constant. It varies and if there is an increase in cloud cover, then there will be a corresponding decrease in surface temperature as sunlight is bounced back into space and the area under the cloud remains in the shade and cool. If it rains, then the water lands, evaporates and takes more heat out of the surface. It is so blindingly obvious that one has to wonder if Trenberth has ever set foot outdoors. I am no one. Just an old Spanish woman with no credentials but a lot of curiosity. 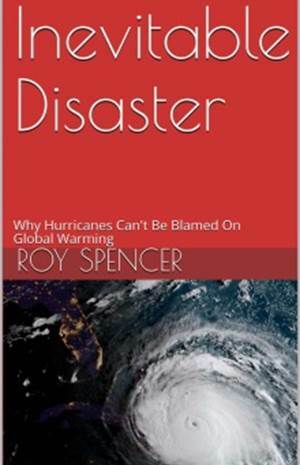 ( I bought your book “the global warming BLUNDER”, and enjoyed it very much). I just wanted to say, there is no need of qualifications to understand when someone is being treated in an unfair way, as anyone who has read your paper, and the reports on the consequences of it having been published in a peer reviewed publication can easily see for himself. So, if there is anything I, as one of “we the people”, can do to help, just say it, and I’ll be happy to do whatever I can, with my meager means. May the gods be with you ! Were Leroux still with us, it might be interesting to hear him comment on LeMouel, Blanter, Shnirman, & Courtillot’s (2010) seminal observation of solar-modulated semi-annual equator-pole hammering power. The hemispherically asymmetric distribution of seasonally-alternating ocean-continent contrasts differentially aliases the solar-pulse-position-modulated semi-annual meridional exchanges into the nonstationary multidecadal variations we observe. For how long will the mainstream science establishment ignore the beautiful, natural solar-terrestrial orchestration of terrestrial multidecadal variability? Over at Climate Etc. Dr. Curry had a thread on this controversy. In her introduction to it, she stated that your paper had, to paraphrase her comments, errors but not “egregious” ones. I didn’t any identification of your “errors” in her comments. Do you know what she was referring to and do you have any comments regarding her comments? I still haven’t found any (direct) answer to that online. Posting these remarks here, I hope someone (with much more skills than I have) will sent some… Anyway, it seems clear to me that with this argument we’re touching the (very important) subject discussed here. Maybe I’m mistaken, but here is what I think about it. This argument, though looking trivial at first glance, is indeed very poor and one can even see it easily. First, replace “cosmic rays” (or clouds) by “CO2” and do the same reasoning, for example, for the period 1940-1970. Needless to remind us what the “observations” of the “global temperature” say for this period. But how would you respond? There must have been another agent (or several) espacially active at that time, more than compensating the effects of increasinf CO2 in the atmosphere? Why not, but why would the argument hold only for CO2 and only for that period? Now take the period 1999-2011 (among numerous others). Needless to say I’m still talking about what looks like a “divergency”, exactly like they do. Another argument? Too short period… must take into account the delay, thermal inertia due to oceans, ice and whatever. Why not (good), but the GCR-cloud effect is supposed to be a radiative agent, like CO2. Now why a 30 years period would be enough? Who knows? Now take longer times and consider, for example… DO-events: you get a very bad correlation (none) between CO2 and temperature, whatever the period. Isn’t it now evident that there argument is simply ridiculous? I mean, the fact they use it (without additional detail): RC either should consider the same argument for CO2, or they should no that this arguments doesn’t hold. By the way, if you focus on the relation between GCR flux (i.e. solar activity) and cloud cover effects, RC claim that there are no sign of the 11-year cycle (for example) is ridiculous: see the stricking inverse correlation e.g. on Fig. 1 in Lockwood (2010). To me, this probably implies that radiative phenomena have a small part of their effects on the temperature which is almost imediate (limited to areas with low heat capacity). But most of the effects, if existing, is of course to be seen in the long term. To finish with their silly or highly dishonnest argument, I see another bias due to the fact they point the (lack of immediate) correlation with temperature: they rely on the idea that there has been a significant trend in the “global temperature” in the last 3 decades… Once again, the reader will probably swallow the argument, as it is so trivial. But wait! Even if we forget the problem of the lack of physical meaning of that “global temperature”, there are still a lot of problems, here. There’s the issue of spacial averaging, i.e. projecting values measured at points which are very badly distributed on a regular meshing, heat island effects (see Mc Kitrick) and also this one: looking at satellites mesurements of the “global temperature”, you can see only 0.14°C/decade; try and deduce the trend for the surface: you’ll get an unsignificant trend… like for GCRs. Hope I’m not out of the topic. I especially found those remarks relevant here and would be glad if Roy gave a quick comment to them. In any event, thanks for this very intersting thread, and I hope Roy will go on receiving all the support he deserves in this sad affair, and providing helpful analysis. I have a question regarding the cloud issue – rather, it is my wife’s question. I’d done my best to explain the Trenberth and spencer positions about cloud formation and her question was “where does the moisture come from for Spencer’s clouds?” and I don’t know. Anyone? Whoops. I was thinking of the time before scientists started calling themselves scientists and instead said “science was invented”. (see: http://en.wikipedia.org/wiki/Scientist). Now if only people calling themselves scientists could do what I just did and say they are wrong a little more often…. @ Paul, indeed Leroux is sorely missed! Oddly, the type of causal/statistical confounding Dr. Spencer discusses is well known in econometrics. Being stuck with mostly observational (non-experimental) data and faced with issues like teasing apart supply and demand curves, that field was the first to develop methods for dealing with simultaneous and reverse causality. It has continued to refine its methods over the decades. “Identification problems” and “errors in variables problems” are attacked either by finding “natural experiments” where causality can be isolated or by finding “instrumental variables” correlated with the dependent variable but not with the error term. It’s fascinating how many of the statistical debates in climate science, from cloud feedbacks to paleoclimate reconstruction, suffer from ignoring this methodological literature. IMPORTANT: This alleged “logic” is evidence of fundamental misconception of how Earth Orientation Parameters & global atmospheric angular momentum actually relate to neutron count rates. Dr. Schmidt: You MUST invest the effort necessary to DEEPLY understand & appreciate LeMouel, Blanter, Shnirman, & Coutrillot (2010). I hasten to add: NOTHING VITAL is riding on the CERN CLOUD experiment, as the data have ALREADY spoken (…and what they’re saying certainly isn’t just about “global average cloud cover”). Water is always evaporating, heat speeds this process up, and becoming the lighter than air invisible gas water vapour it rises and takes up heat as it does so releasing it when it gets cold enough to turn back into liquid water; without the Water Cycle our atmosphere would be 67 degrees Centigrade, think deserts. Water vapour will condense out as clouds in higher colder levels of the atmosphere to come down as rain or snow, or evaporating into colder levels near the surface form as fog. Where has my post to DP gone???! but ocean surface temperature changes easily lag their causes. could cause clouds to be less stratiform. increases the lapse rate. This should cause clouds to be less stratiform, possibly reducing cloud coverage. result, I expect reduced ratio of updraft area to downdraft area, meaning less cloud coverage. of global warming after 1973 indicates a feedback factor around 2.5, maybe 2.8 – much less positive than the .89-1.89 mentioned as by IPCC in your recent paper. Hallo zusammen. In der tat ein lesenswerter Beitrag. Ich lebe bereits seit 7 Jahren in Vienna und bin extrem angetan. Ich habe mittlerweile in vielen verschiedenen Städten wie Stuttgart oder Paris gelebt. Aber nirgends ist es so lebenswert wie in Wien. What I was seeing was it being held in moderator limbo, so the disappearing trick when I refreshed page. Anyway, hope this helps re dp’s wife’s question. I think the following part could possibly do with clarifying. It would seem Dessler at least doesn’t see it one way. He doesn’t see it as one way on the time scale you do but it clearly isn’t one way. There seems little doubt that pesistent cloud cover will reduce temperatures globally. It was not long ago that climate modelers were scaring us with visions of nuclear winter as a result of a nuclear war. Heating of the atmosphere can be expected to cause more rapid evaporation of the oceans, leading to greater cloud formation, a negative feedback mechanism that will dampen tendencies toward global warming. This simple picture should / could be as understandable as the current lay view of increased heat absorption due to increase CO2. Without clear explanations we are stuck with trying to counter the argument that 97% of climate scientists…. Of course, fifty years ago, we “knew” that dinosaurs were cold-blooded and stomach acids caused ulcers. his overt resignation was his way of precipitating a crisis which perhaps would not drop him in the s**t with his supposed colleagues, nor have his journal totally blacklisted by the other half of the debate?? . In short, I said Gavin mix heat transfer and temperature (and even radiative net flux and temperature). In other words: a function and its integral (if you allow me to use a simple picture). At best, he forgets the huge thermal inertia of oceans and every non-linearity in the climate system. Then he completely misses the fact that in no way the fluctuations of ‘global temperature’ – if such a thing exists (indeed, this concept lacks physical sense) – or any regional temperature is expected to follow the variations of the radiative fluxes with a given (constant delay), not to mention a short one. Anyway, as a first step to his training, I’d strongly recommend them to have a look at this graph, showing the variations of 10Be during the last 6 centuries, as measured in the ice core from Dye-3, Greenland (Beer et al. ). BTW they can compare them to the fluctuations of the solar spots number. It is well known that of 10Be is a good proxy to evaluate GCRs flux (and solar activity which modulates it). Interestingly, the atmospheric 10Be concentration has been remarkably constant in the last 50 years… but changed a lot before: from ~11 000 atoms/g in 1900 to ~7 000 atoms/g since ~1960. Which should correspond to a 6% increase in cosmic ray induce ionization according to Shaviv . So even for people confused to the point of mixing a function and its derivative, the choice of the last 3 or 5 decades is unfortunate (or especially convenient, depending on their wishes). Keep up the good work Roy. We need more scientists with open minds. If a climate models fail then logically a variable is misunderstood or missing. Studying part of a non-linear dynamic system is useless. The recent science at CERN with CLOUD has just introduced another variable to consider. One that might also allow man to create clouds at will. Brace yourself for some real climate forcing.